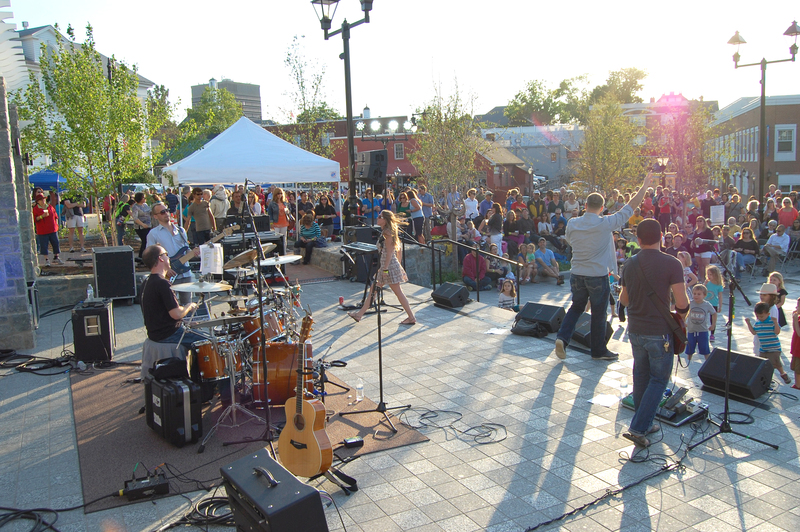 It’s a date made in rock-n-roll heaven: Every fourth Friday of the month from May through October, the city hosts Rock the Block—a three-hour festival in Old Town Square with lots of food (including amazing food trucks), a beer garden, kids’ activities and one of the area’s best cover bands. The signature event typically draws north of 3,800 people. It’s a captive audience that downtown merchants know and love, as many of attendees hang around to indulge in everything from restaurants to retail before and after the show. This summer, though, the city’s Economic and Development team have made it easier for businesses elsewhere in the city take advantage of thousands of concertgoers. They created the Backstage Pass, which is a digital and paper coupon pass that gives recipients up to 20 percent discounts at merchants all over town. The kicker: The pass is good during weeknights, when small businesses tend to have less traffic. It’s all the result of thinking creatively about the power of rock. Error: Error validating access token: Session has expired on Tuesday, 21-Aug-18 08:56:08 PDT. The current time is Sunday, 21-Apr-19 21:31:29 PDT.